Lawyers and lawmakers use different terms to describe different levels of criminality or criminal culpability. A person who is involved in a crime might be considered a principal, an accomplice, an accessory before or after the fact, an aider, an abettor, or a conspirator. It hinges on in what way and to what extent the person has participated in criminal activity. 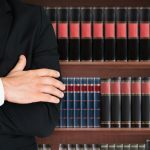 In the state of Washington, anyone who is accused of any participation in a crime will need the counsel of an experienced Seattle criminal defense lawyer. As the terms are commonly used, the law refers to the main perpetrator of a crime as the “principal” and to those persons with lesser roles in a crime as the “accomplices.” An accomplice is a person who intentionally helps another person commit a crime. Today in the United States, an accomplice’s assistance in the commission of a crime makes that person just as guilty as a principal. In the state of Washington, a perpetrator and an accomplice will face the same charge and be subject to the same potential penalties if convicted. WHAT IS REQUIRED TO CONVICT SOMEONE AS AN ACCOMPLICE? When the state prosecutes someone as an accomplice to a crime, in order to win a conviction, a prosecutor must prove that the accused had full knowledge of the principal’s criminal intentions and intentionally helped the principal with the commission of a specific criminal act. That help might include, for example, procuring weapons to commit the crime, providing keys or burglary tools, serving as a lookout while the crime transpires, or providing protection from arrest – a hideout, for example – after the crime has been committed. Although the terms are falling out of favor today, common law developed a number of categories and subcategories for different levels of criminal culpability. A “principal in the first degree,” for instance, was the individual who actually executed a crime. A “principal in the second degree” helped, but in a more passive role, and would today be called an accomplice. An “accessory before the fact” was also someone who helped with the commission of a crime but was not present when the crime actually took place. While today’s laws still retain much of the terminology of traditional common law, the distinctions no longer reflect different “levels” of criminal guilt or punishment. If someone commits a bank robbery with “inside” information provided by a bank employee who is an accomplice, and if a third person serves as a lookout and/or drives a getaway vehicle, all three persons will be prosecuted and considered equally culpable for the bank robbery itself. “Aiding” and “abetting” are for all practical purposes the same thing, although “aiding” generally means a more active involvement with a crime while “abetting” is generally considered a more passive involvement, such as encouraging or providing information to a principal. The common law term “abettor” is seldom used today in the United States, and the term “accomplice” is often used imprecisely as a general term referring to all accomplices, aiders, abettors, and accessories. WHAT IS AN ACCESSORY AFTER THE FACT? WHAT IS A CONSPIRATOR? An “accessory after the fact” is someone who knows that a crime has already been committed and helps the criminal to cover up the crime and/or avoid the police. In most states, penalties for those convicted as accessories after the fact are less severe than the penalties for principals and accomplices. “Conspirators” are two or more individuals who jointly agree to commit a crime together. For what it’s worth, the difference between conspirators and accomplices is that conspirators are principals and accomplices are not. ARE ACCESSORIES TREATED DIFFERENTLY IN FEDERAL COURTS? In most of the states and under federal statutes, conspirators, accomplices, and accessories before the fact are treated as if they were principals, while accessories after the fact are treated differently. In federal cases, accessories after the fact are looking at a maximum of only half the fine amount and half the prison sentence that principals face, and if the principal faces capital punishment or life behind bars, accessories after the fact can serve up to fifteen years in a federal prison. Any criminal conviction has the potential to destroy a person’s freedom and future. In the state of Washington, anyone who is charged with a crime – whether as a principal, as an accomplice, or as an accessory – will need the legal advice and criminal defense representation that an experienced Seattle criminal defense lawyer can provide. A criminal charge is like no other kind of legal matter – too much is at stake for anyone to act as his or her own attorney. The fairness of treating accomplices as if they are principals has been quite controversial for several decades, especially when it comes to crimes punishable by life – or by death in states with the death penalty. Typically, controversy is triggered when a juvenile is involved in an armed robbery or a drug deal that goes bad, someone is killed, and the juvenile is convicted as an adult and faces life in prison or the death penalty – even if the original criminal intention was merely to rob someone or to buy or sell drugs. The justice of sending a juvenile to prison for life for a crime that he or she did not intend to commit remains a contentious legal topic. 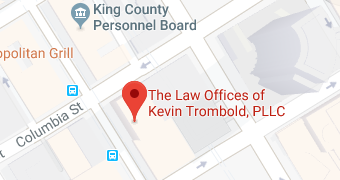 Criminal defense attorney Kevin Trombold has more than two decades of experience in the courts throughout Washington State. 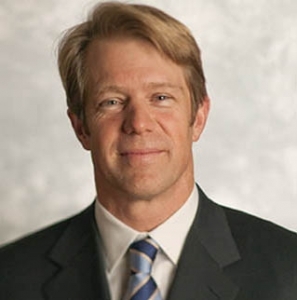 He has argued on behalf of hundreds of clients in Seattle, Everett, and Tacoma, Washington. A native of the Seattle area, Mr. Trombold earned his B.A. in Political and Environmental Sciences from the University of Washington and his J.D. from New College of California. Can You Appeal A Sentence? 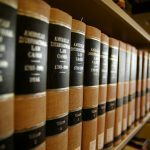 How Does Restitution Work In Washington State? Seattle’s New Gun Storage Law – What Happens If You Don’t Follow The Rules? Could You Be Wrongly Accused Because Of Entrapment? 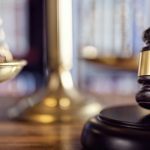 Can Issued Warrants Be Dismissed? Can Racial Profiling Affect Your Criminal Case? This information is designed only to provide general legal information about the criminal process. This information is not legal advice addressing a client’s specific legal concerns. We need to speak with you to provide that. Please call us or a reputable DUI criminal defense attorney.